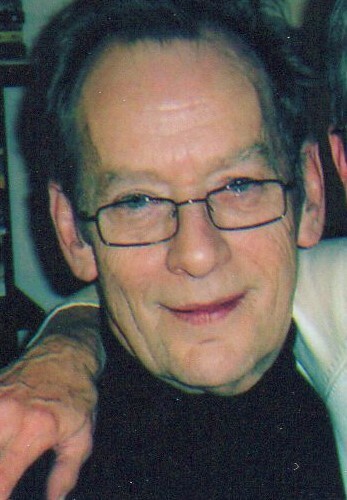 Longtime Glen Ellyn resident (since 1973) Dennis Winn Maxwell, 77, died April 12, 2019. Dennis was born November 2, 1941 in Cincinnati, Ohio. He was the youngest of eight children born to Lawrence and Margaret (Glenn) Maxwell. Dennis spent his childhood in the Cincinnati area and received his bachelors and masters degrees from the University of Cincinnati. He married Mary Catherine (Kay) Galvin in 1969 in Cincinnati and they had three children—Carrie, Christopher and Kelly. During his career, Dennis taught graphic design at Northern Illinois University and Northern Michigan University in the early 1970s before embarking on his own business-to-business graphic design and marketing company—Design Marketing. He ran this business for almost 30 years and worked with numerous Chicagoland (mostly) industrial companies. While running his business, Dennis taught graphic design for a time at College of DuPage. Among the many things Dennis was known for was his pursuit of knowledge on a myriad of topics. He loved art, history, current events and politics and was able to travel to a number of the historical places across the globe that piqued his interest as a young man and later with his wife when they retired. Dennis is preceded in death by his parents; siblings Daniel, Patricia (Jean) Muir, Paul, John (David) and Claude. He is survived by his wife, children, son-in-law David Baker (Kelly’s husband), siblings Thomas Maxwell and Nancy Maxwell Goldberg and numerous nieces and nephews and their families. The family asks that in lieu of flowers donations can be made to St. Jude Children’s Research Hospital and the Glen Ellyn Public Library. Memorial visitation Saturday, April 20, 10 AM - 11 AM at Leonard Memorial Home (565 Duane St., Glen Ellyn) with a Memorial Service to follow at Leonard at 11 AM. Interment private.